For those furnace owners who have become accustomed to the sound of hot air rushing through the air ducts, they might be surprised to find that a heat pump operates a bit less intensely. Since heat pumps don’t use combustion to create heat, you can anticipate that they’ll operate a little more quietly. This is worth mentioning because it’s not uncommon for new heat pump owners to believe their unit is faulty. Rather, these units simply heat the air slowly and more gradually—and more efficiently to save you money. 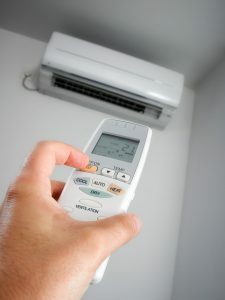 If you have a furnace and air conditioner, you might be used to the idea of having annual maintenance for each system. One maintenance visit for the air conditioner, and another for the furnace. With a heat pump, however, you can’t get away with just one maintenance check for the unit. Since heat pumps can operate in both seasons, you’ll want to treat it like two systems by getting maintenance for it at the appropriate times. This will help ensure it doesn’t run into any heating repair issues in Riverside, CA. This is also something to keep in mind if you plan on installing a ductless mini-split system. Since these systems have multiple air handlers, it can make your maintenance more costly. Before deciding on a heat pump installation, it might be worth considering how auxiliary heating and dual fuel system works. If outdoor temperatures become excessively cold, the heat pump may need assistance from its auxiliary heating mode. However, this can be more expensive in the long run. On the other hand, a dual fuel system is a heat pump with a gas furnace. When temperatures become too cold, the gas furnace can kick on and help remove some of the burden from the heat pump. Deciding whether you need a heat pump with auxiliary heating or a dual fuel system is something an HVAC technician can help you determine. If the heat pump is unable to generate warmth due to a repair issue, you can still keep warm by switching to the emergency heating mode. This is an option that must be turned on manually. Some new heat pump owners—those who are accustomed to the fast and noisy performance of a furnace—may turn on the emergency heating by mistake, believing that it will heat their home faster. However, since emergency heating mode generates warmth purely through auxiliary heating, it means you’ll be using electrical resistance to heat your home. This can be far more expensive if allowed to run for too long. To learn more about heat pumps, contact RKM Heating and Air Conditioning today. Done Right, Priced Right.